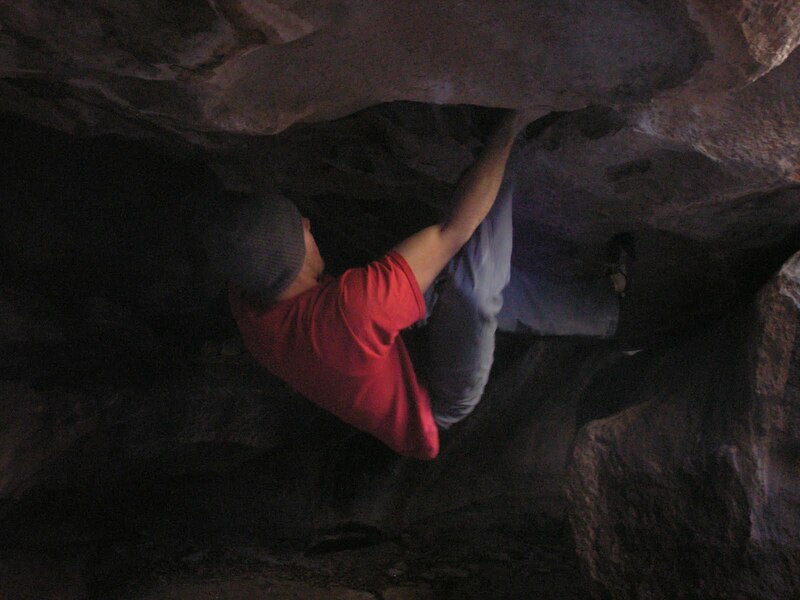 I decided to avoid another snowy winter in Flagstaff by moving down to the Hueco Tanks for the season. 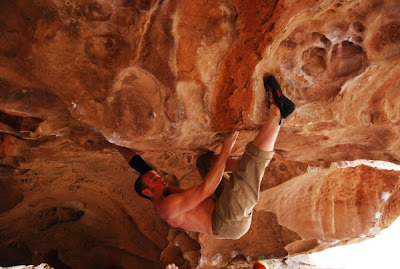 I've been working as the guide manager at the Hueco Rock Ranch while doing online courses. A few days ago, I finished a project that I have been working on for the past four years called Rumble In The Jungle. Rumble is a sick roof that has a bunch of tension moves on cool pinches, and a hard face encounter at the end. 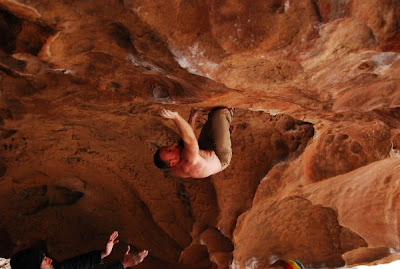 The boulder problem is never really over until you're on top of the boulder. I've been trying another sick roof climb at the Aircraft Carrier called Down in Flames. BJ Tilden did the FA a few years ago, and the climb never saw much action until this season. I did the FA of two new rock climbs on East Mountain. The first climb that I did is called Cooper's Way. Cooper's Way is located near the Blender boulder on East Mountain on the backside of the Crimping Christ boulder. Cooper's Way climbs a sick roof with cool moves. 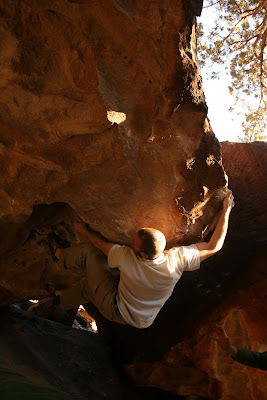 Uncle Drunkie, the second boulder problem, climbs up a tall water streak wall on deceiving crimps. 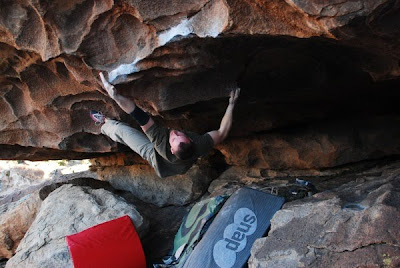 The holds appeared to be slopers from the ground, but turned out to be crimps. Uncle Drunkie is in a new sector above the Dark Heart.